Contribution to the Hamburg ‘Architektur-Olympiade’ 2006. 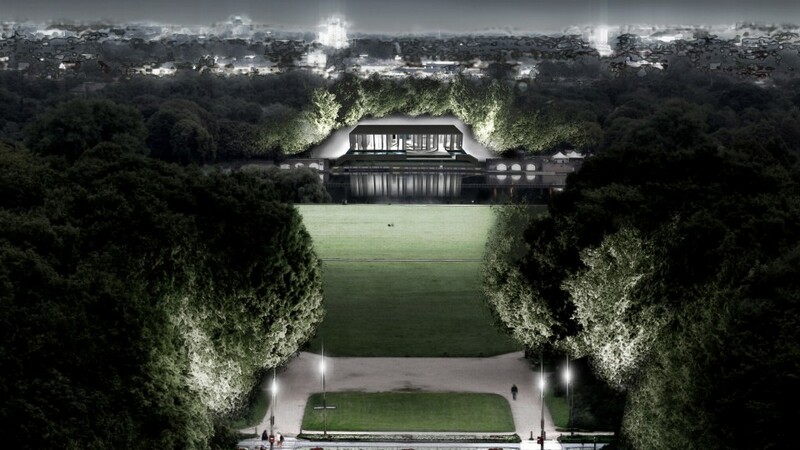 The pavilion, as a reinterpretation of the former municipal hall, forms the main entrance to the Stadtpark and a counterpoint to the planetarium. 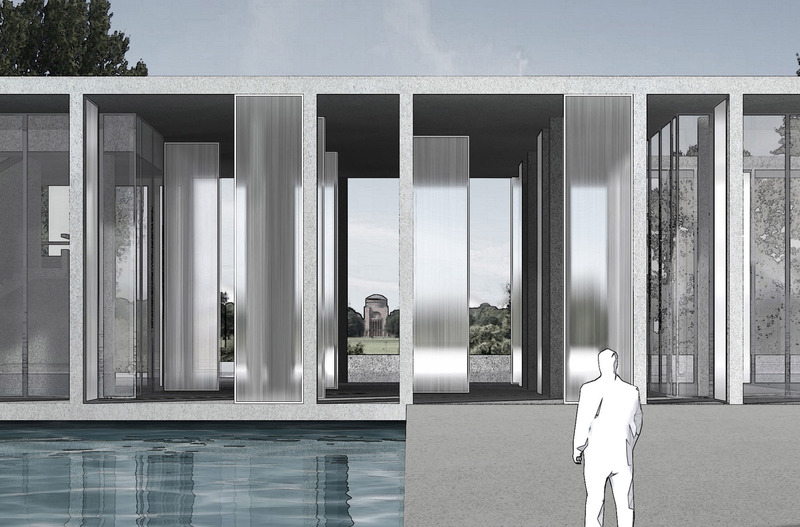 The new building takes on the role of mediator between city and park and embodies the public character of a gatehouse, at the same time reflecting the grace of a garden house. 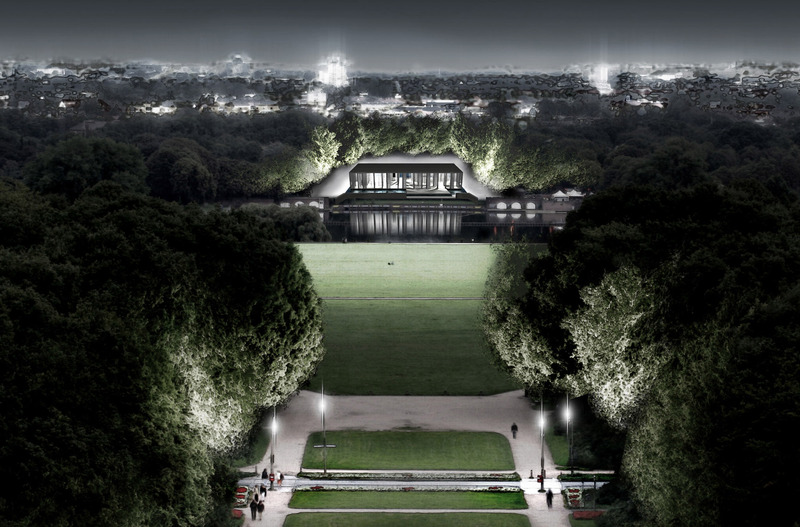 The design is based on the strict geometry of the park and the historic sightlines. 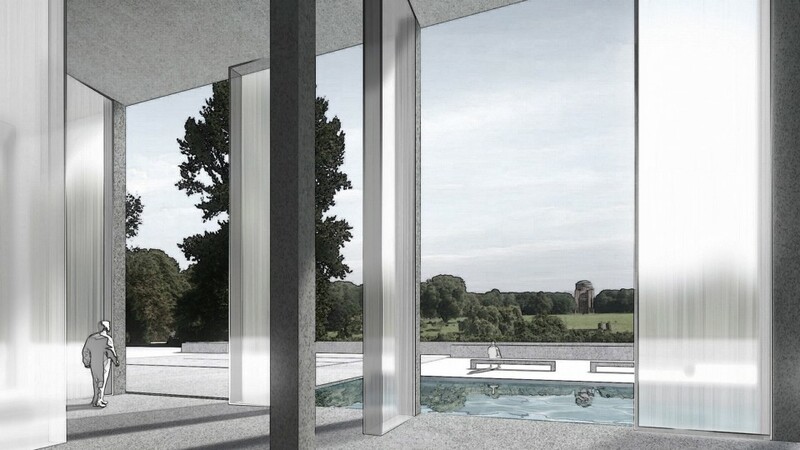 The exposed concrete pavilion is integrated spatially by a pool of water. The two rooms have various uses as gastronomy and events spaces. 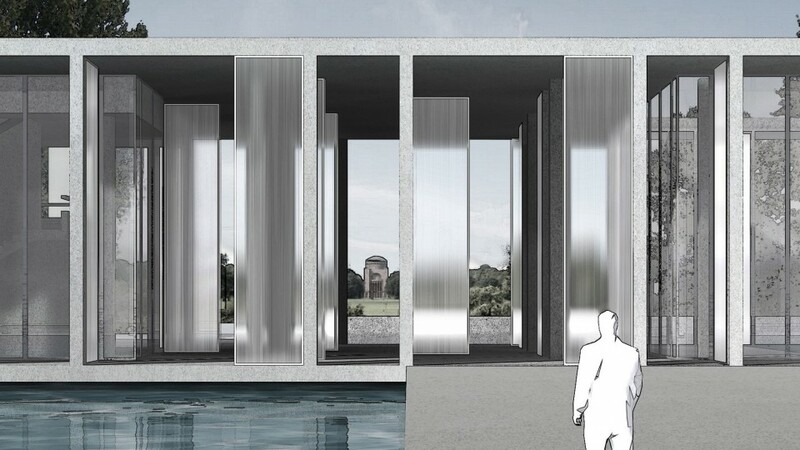 The large, roofed open space within the pavilion is a public platform, framed by floor to ceiling, translucent, rotatable elements. 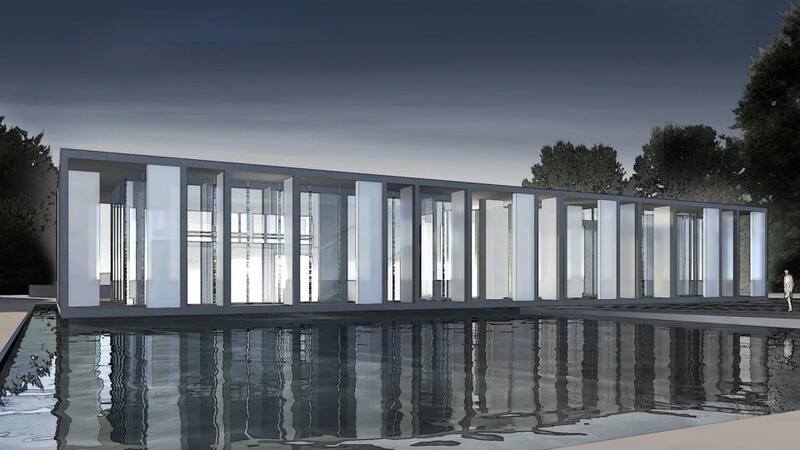 The building creates a smooth transition between exterior and interior in the context of its environment.